My Engagement Story: The Good, the Great, and the I'm Getting Married! My Engagement Story: The Good, the Great, and the OMG, I’m Getting Married! Ep. 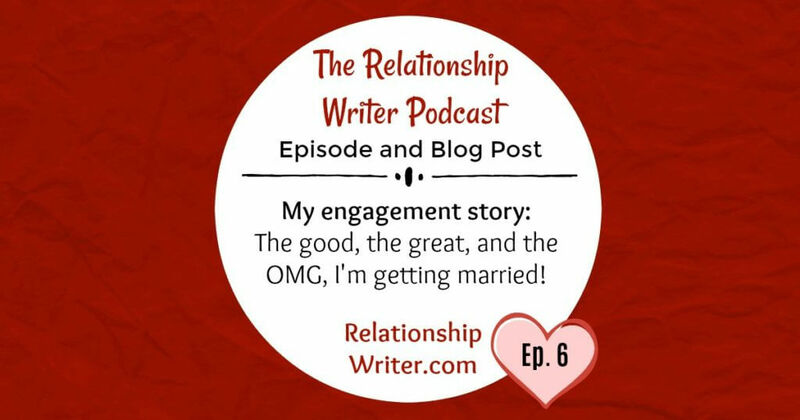 6 teaser: My engagement story: The good, the great, and the OMG, I’m getting married! I waited over 4 decades to be asked the question ‘Will you marry me?’ by someone I wanted to respond to with a resounding ‘yes’! While I wanted to share all the juicy details of my engagement story with you, I didn’t want this to be all about me. I’m a dating coach. If you’re single and would prefer to be in a relationship, I hope my story inspires you. The fact is I wouldn’t currently be planning a wedding with the love of my life if I wasn’t proactive, persistent, and willing to make fundamental shifts in the way I approached dating and relationships. David didn’t just magically appear in my life. Our relationship didn’t progress fairly effortlessly because we were ‘soul mates’. We’re together because we were both actively looking for love online, we’d learned from our past mistakes in relationships, and we knew when we were onto a good thing. Ep. 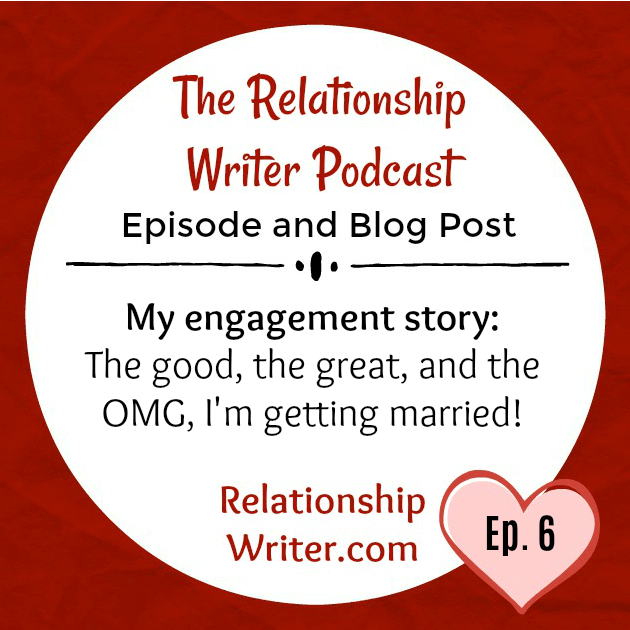 6: My engagement story: The good, the great, and the OMG, I’m getting married! I’m sure you can tell by the title of this episode that it’s going to be slightly different, very personal and hopefully inspiring. So, on the evening of Friday 16th November 2018, David asked me to marry him and I said yes. So, I’m officially engaged. Woo hoo! • ‘Elly, is this the first time you’ve ever been engaged?’ Yes. • ‘How old are you?’ I’m 41. • ‘How old is David?’ I know he looks about 25, but he’s actually a little older than me. For his privacy, I’ll never reveal his exact age. • ‘How long have you been together?’ Almost 3 years. • ‘How long have you been living together?’ Just over 18 months. • ‘Will this be your first marriage?’ Yes. • ‘Will this be David’s first marriage?’ Yes. • ‘Do either of you have children?’ No. • ‘Are you planning to have children?’ No. But we currently have one fur-baby – David’s cat. And we’re planning for a second fur-baby after we get married – a dog. 5. My private Facebook announcement, which included a 39-verse poem, 19 pics, 123 reactions and 129 comments. I only have around 250 Facebook friends. I’m very active on Facebook, but I’m also very private and keep my list limited to family, close friends and special colleagues. So, let’s start with No. 1: Why we didn’t get engaged any earlier or any later. On my website, which is RelationshipWriter.com, I offer a FREE life-changing email series called Profile to Partner: The ‘hallelujah’ 14-step system to finding love online before you marry your cat. The final step, Step 14, is about how to go from a relationship to ‘happily ever after’. Now, for you, ‘happily ever after’ might just be mean having a life partner, and that’s fine. But for me, and for the majority of people, it means getting married. So, a common question I get asked as a dating coach is: How much time should pass between meeting and marriage? And my answer is 3 years: A year of dating, a year of living together, and a year of being engaged. Of course, it’s just a guideline. And there are exceptions to the rule. If you’re in your 20s, you might want to slow it down. And if you’re a woman in your late 30s or early 40s and you and your partner want to have kids, you might want to speed it up. But other than that, 3 years – a year of dating, a year of living together and a year of being engaged – is my guideline. Now, why is this? Well, when people fall in love, they have a tendency to want to race to the altar. And I think that’s a huge mistake. Because it takes time to get to know someone. And call me crazy, but I strongly recommend getting to know someone before committing to a life with them. When it comes to marriage, I have a philosophy, and it goes like this: ‘When you say ‘I do’, you should mean ‘I do’ – not ‘I think I do’. So, David and I dated for a year before we started looking for a place to live together, and that felt like a really healthy pace for both of us. We lived about a 45min drive from each other, so we usually only saw each other on weekends. Saturdays and Sundays were filled with romantic dates. Weekdays were filled with phone calls and text messages. And we missed each other when we weren’t together. It was great. Dating is a wonderful chapter in a relationship, so I’d encourage you not to rush it. But after a year, I was over it. David and I wanted to see each other every day. We wanted to share our lives with each other. And not living together actually started feeling a bit immature – like when you know you’re too old to have a housemate and you need a place of your own. Well, we knew after a year of dating that our relationship was at the point where we needed to move in together. So, we did. And that was the next chapter. So, at about the 15-month mark, we moved in together. I assumed it would go smoothly, but it went even more smoothly than I’d expected. Of course, we had a few hiccups. But we sorted them out pretty quickly. After about 6 – 12 months of domestic bliss, we knew we wanted to get married. And we talked about it a lot. But here’s the thing about getting married – it usually involves a wedding. And because this will be a first marriage for both of us, we knew we wanted to have a proper wedding. And we weren’t quite up for planning a wedding just yet. So, the engagement took a little longer than it needed to. Emotionally, we were engaged almost a year ago. But we spent 2018 preparing for the fact that we were going to spend 2019 planning and then having a wedding. So, instead of getting married at the 3-year mark, we’ll be getting married a few months shy of the 4-year mark. That’s how our timeline has played out. And we’ve been lucky to be pretty much on the same page the whole way. It can be a real struggle when one person wants to move through each stage between meeting and marriage faster than the other one. But we were quite lucky. Now, moving onto No. 2: What parts of the proposal were a surprise and what parts weren’t. Proposals are traditionally a surprise. At least, that’s how they’re portrayed in movies. You know, with the man suddenly down on one knee and the woman covering her mouth with both hands like, ‘OMG.’ Well, that’s not how it played out for me. Not only had David and I already agreed to get married and I knew a proposal was coming, but David wasn’t very good at hiding the fact that he was planning an extravagant proposal. I had no idea what it was. I just knew he was working on it. And then he accidentally tipped me off as to the date, so I even knew what night it was going take place. But that’s cool. In some ways, I was kinda glad I was prepared for it. So, I knew the proposal was coming. And I also knew about the ring, but we’ll get to that in a moment. What I didn’t know was what he had planned. And he had an entire weekend of unique activities and experiences lined up because that’s just the kind of guy he is. Maximum fun. You’ll find out how the entire weekend unfolded a little later. Onto No. 3: The difference between an engagement ring and a proposal ring. Now, I didn’t know what the heck to do about the engagement ring thing because I’d never coveted a traditional engagement ring the way most women do. I wanted to get engaged. I just didn’t feel the need for an engagement ring. And I thought, ‘Hmmm, a proposal ring.’ So, I did my due diligence and started looking at rings. I looked at some traditional engagement rings and even thought they were beautiful but, a) They didn’t represent thousands of dollars’ worth of value to me personally, and b) I literally couldn’t tell the difference between the $6000 ring I tried on and the $100 ring I tried on. I’m not kidding. And ironically, I genuinely preferred the $100 ring. Now, I’ve always had some creative and non-traditional ideas for a very special and symbolic wedding ring, which I’d receive on my wedding day. And I still do. But I had to figure out what to do about the whole engagement ring thing before the proposal. In the end, I decided a traditional engagement ring worth thousands of dollars just wasn’t for me, so I picked out a beautiful yet inexpensive engagement-style ring for David to propose with, which is why we call it ‘the proposal ring’. I might only end up wearing it for the year I’m engaged and then replace it with something really unique. Or not. I might just add a simple wedding band to it like everyone else does. I don’t know. All I know is I absolutely love it. I love it more than I thought I would. It’s really pretty and sparkly and here’s the thing – it makes it so much easier to tell people you’re engaged when you’re wearing something that looks like an engagement ring on your ring finger than when you’re not. I’m so glad I don’t have to tell some drippy story about how I’m engaged but didn’t want an engagement ring. People just think you’re a party pooper or a rebel without a cause. I kinda feel I have the best of both worlds. I have a beautiful ring that signifies I’m engaged. But David didn’t have to spend the equivalent of a trip to Europe on it. As the proposal approached, I started realising how unfair it was. The man does all the planning, all the paying and all the praying that his girlfriend satisfied with his efforts. And all he gets in return is a yes. ‘Yes, I will marry you.’ Well, that didn’t feel right to me. So, the first thing I did to show my appreciation was I purchased a gift that had similar advantages to an engagement ring. It was something he could wear on his body, something he could show others that signified my love for him, and something he could keep forever. 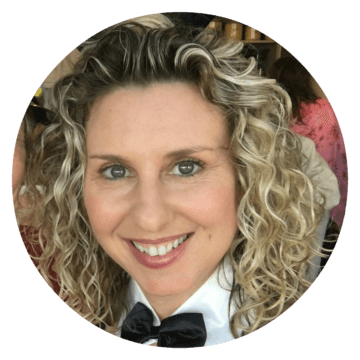 I picked out a masculine necklace that was like an army-style dog-tag that soldiers wear, except it was black and even had a touch of bling in it, just like my engagement ring. The reason I chose this was because I wanted to engrave something very special on the back. There’s a Yiddish word I’ve been waiting my whole life to bestow upon someone. And that word is ‘bashert’ (pronounced ‘ba-share-t’). It means ‘meant to be’. And when you say, ‘my bashert’, it means ‘my soul mate’ or ‘the one I’m meant to be with for life’. So, on the back of the necklace, I had engraved the word ‘Bashert’ and then ‘David and Elly 2018’. David was not expecting a gift, so he really appreciated that, and particularly the sentiment. The second thing I did to show my appreciation was to write a 39-verse poem about his extravagant proposal and post it on Facebook as part of our engagement announcement. It outlines the entire engagement weekend from start to finish. But if you’re single and would prefer not to be, it’s the last few verses of the poem that I hope you find inspiring and motivate you to find love in 2019. Which brings me to No. 5: My private Facebook announcement, which is now going to be totally public because I’m going to read the entire poem to you. Is 2019 the year to find YOUR true love? So, that was my unique engagement story. And that’s all from me for 2018. I’m simply bursting with podcast episode ideas for 2019 and I can’t wait to share them with you. And if you’d like to make 2019 the year you invest in yourself and finding the love of your life, it’s simple. 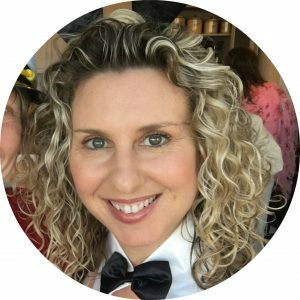 Just visit my website, RelationshipWriter.com, to find out all about my signature program, Profile to Partner Coaching where, for 3 months, I’ll be like your dating bestie. I’ll start by writing your online dating profile and then teach you how to literally go from profile to partner, just like I did. Happy holidays and I’ll catch you in January!